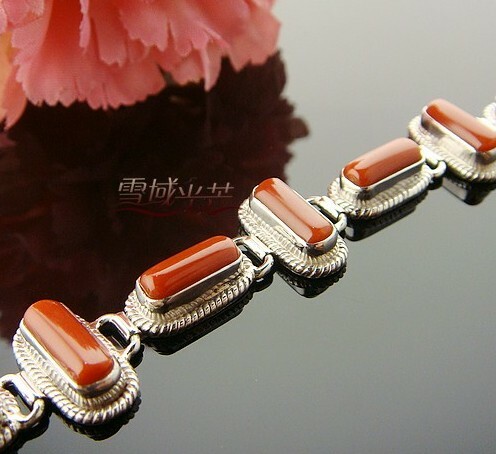 Handmade Tibetan Old Coral Bracelet. 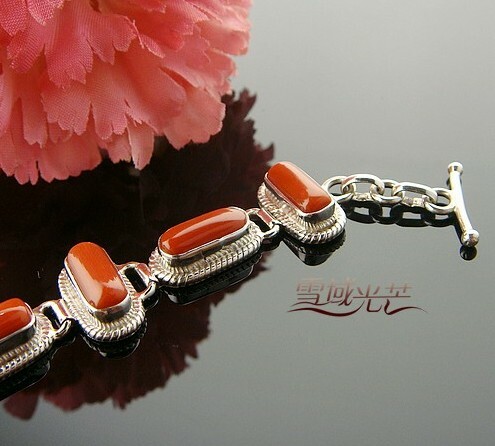 This bracelet was handmade in Tibet from old sterling silver and coral. 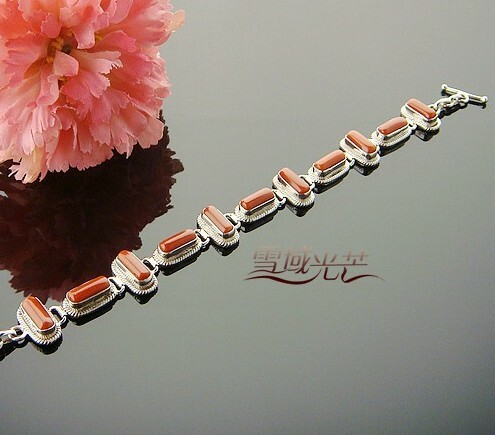 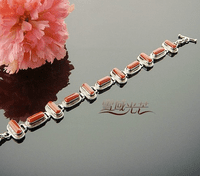 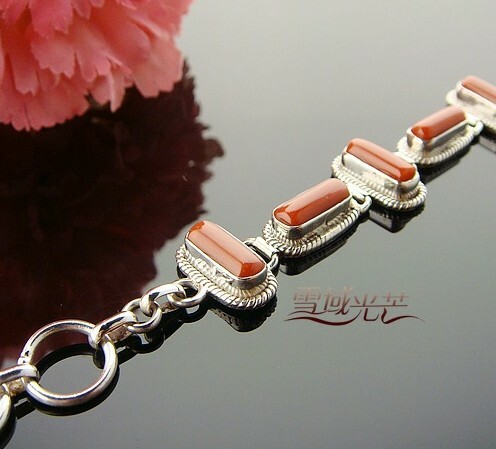 Bracelet size: 200mm*15mm; Coral size: 12mm*5mm.